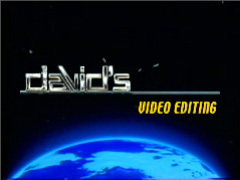 David's Video Editing prides itself on providing one-on-one personal service with more than 20 years experience. We have focused on corporate and independent producers, as well as private parties who desire high quality video services, without going over budget. 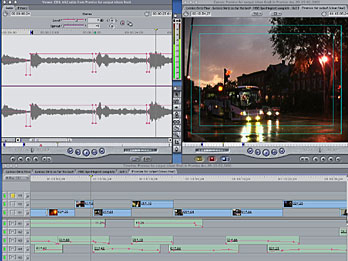 We use Final Cut Pro studio to create masters in SDV or HDV. We will also provide an MPG4 or M4V for your uploading needs. We can source from numerous standard formats including DVCam, BetaCam, Hi-8, VHS, SVHS, DVD and Blu-ray, as well as the more recent compressed formats such as MPG4 found in DSLR cameras. In addition to our industrial customers needs, we also cater to consumer projects such as Video Photo Albums, Video Tributes to commemorate weddings, graduations, birthdays and special events, "The Life and Times of..." Videos and Home Movie Transfers. Projects such as these and many non-profit endeavours may qualify for special pricing. View some of our Sample Demos to see the wide range of services DVE offers. 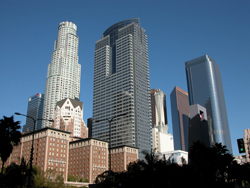 Located just 10 minutes from downtown Los Angeles, we can conveniently serve the greater Los Angeles area, including the Valley and the West Side. We also are happy to work remotely to service any customer worldwide.